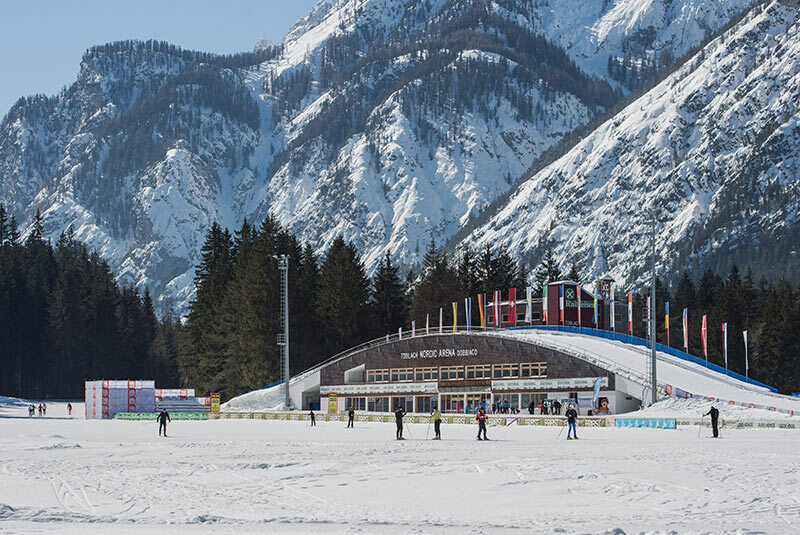 Anyone who has ever had a winter holiday in Dobbiaco/Toblach will know that it is the top place for cross-country skiing in South Tyrol, and also the venue for the international World Cup competitions. 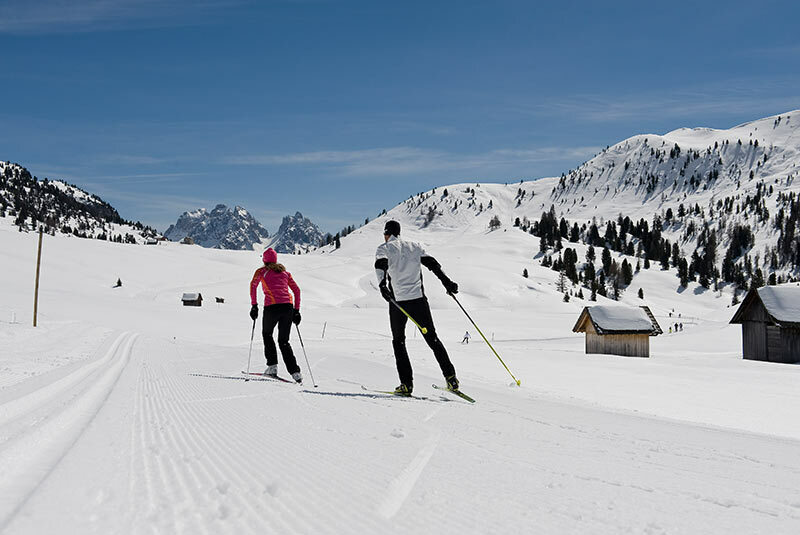 The new "Nordic Arena" cross-country skiing centre in the holiday region Three Peaks/3 Zinnen in the Dolomites is the real icing on the cake for those who enjoy this Nordic sport. 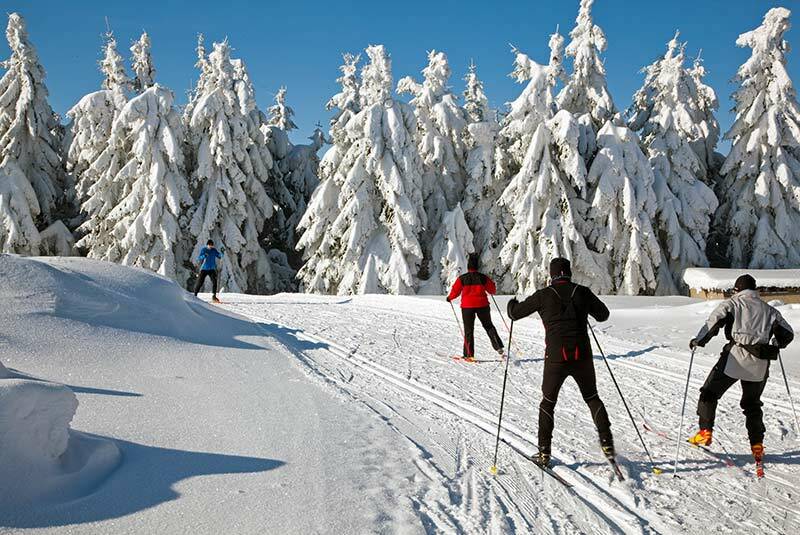 If you come to Dobbiaco for cross-country skiing, you can enjoy 120 km of snow-covered slopes, ranging from simple loop trails for beginners and occasional skiers, to FIS-approved routes for experts and professionals. Are you training for a competition? Or do you prefer skiing at night under a starry sky? 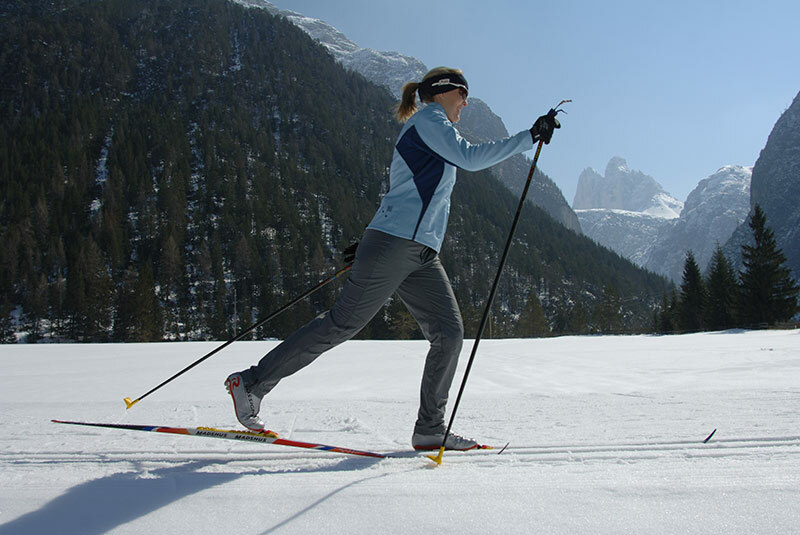 This is also an option if you go cross-country skiing at Dobbiaco. The Nordic Arena is the place for you! And of course there is a very special highlight: one of the trails even takes you over the roof of the Arena! By the way, the Arena is right behind our hotel, just 100 metres away. Did you think that was everything on offer? You couldn't be more wrong! The trails around Dobbiaco are in fact connected to a whole network of routes in Alta Pusteria, which means you can enjoy about 200 km of perfectly maintained cross-country trails. They include, among others, the high trail at Prato Piazza/Plätzwiese, the trail in Val di Landro/Höhlensteintal with a view of the Three Peaks, or the fun-packed trails at Sesto/Sexten. 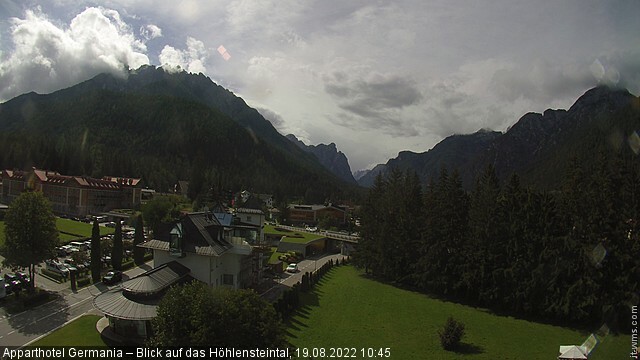 If you have an Alta Pusteria Skipass, you can also use the network of trails in Cortina. 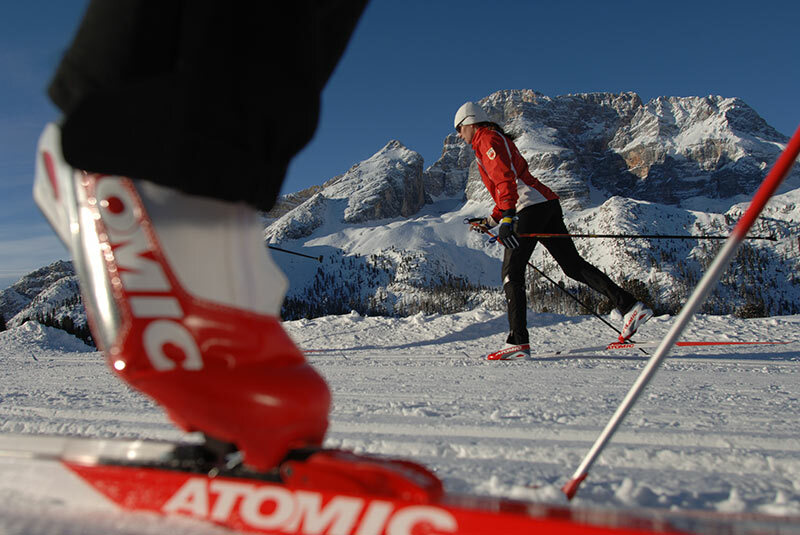 Cross-country skiing at Dobbiaco is fantastic, and always full of variety. 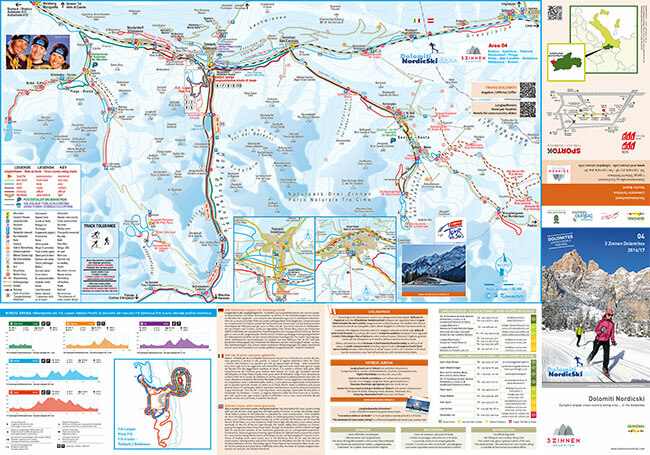 And you can also access the free SkiMobileDolomites-Card. During the winter season, this allows you free, unlimited use of the ski buses in Val Pusteria and Val Badia, as well as travel on all public buses and regional trains throughout the South Tyrol region. 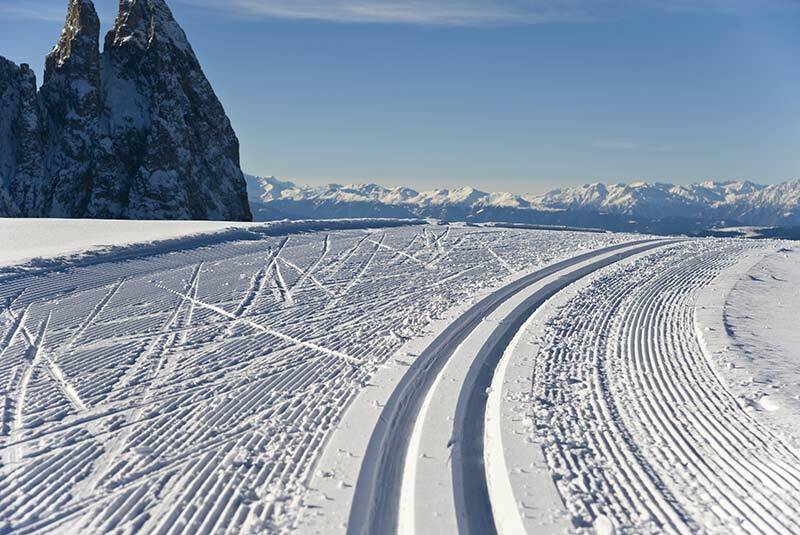 Since 2016, we are member of the „Cross Country Ski Holidays“. We have specialized in the needs of active winter sports enthusiasts off-piste: With us, you get competent advice, the appropriate equipment and numerous extras, which all guarantee you unforgettable holiday moments. 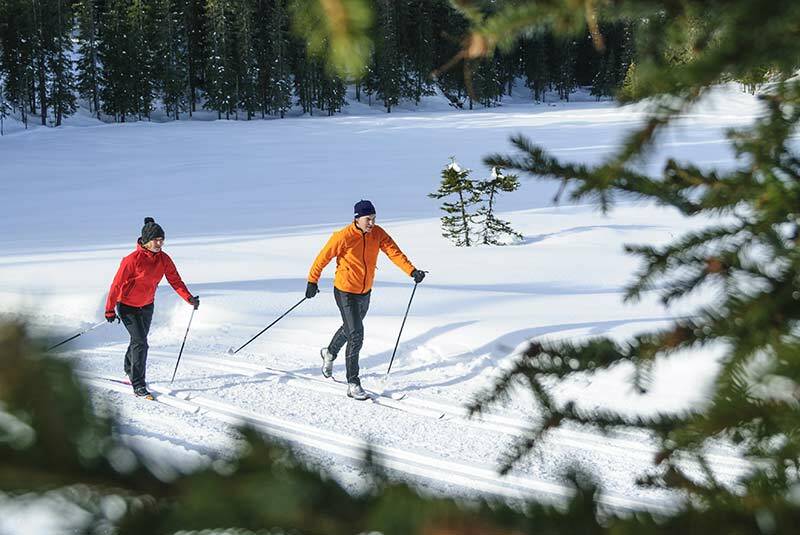 “Cross Country Ski Holidays” has awarded us with the “Nordic Fit” category. 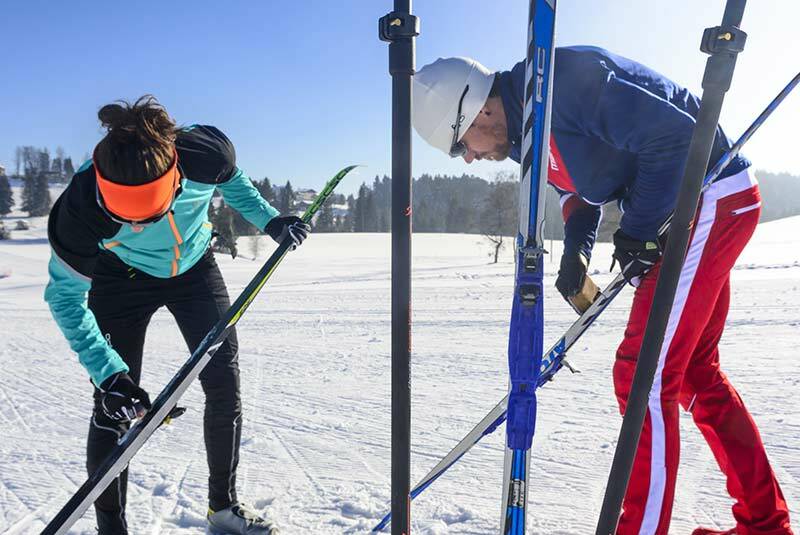 This means: As a “Nordic Fit” Company, we can offer you, as a passionate cross-country skier, some special equipment and services at your disposal. Although your Host Andreas is not a cross-country skier by himself, his knowledge of the advantages and facets of the Alta Pusteria - Three Peaks Country is the best you can get. 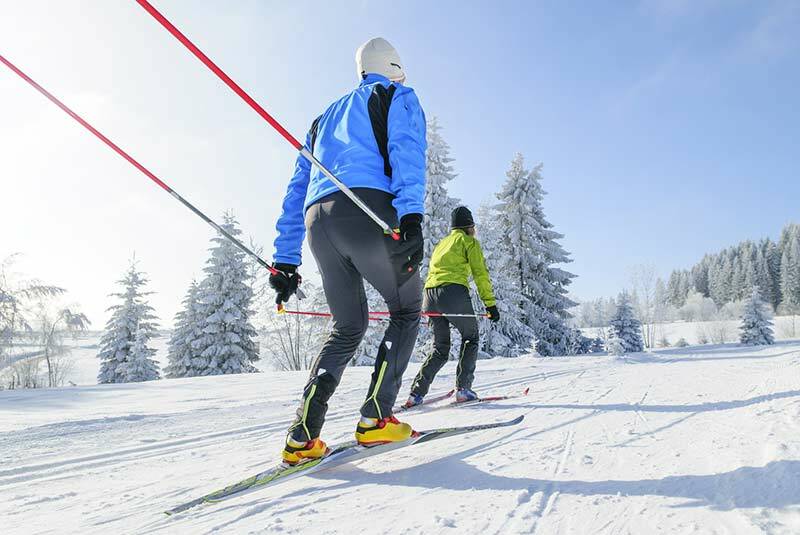 He and his experienced team will be happy to provide advice and assistance to big and small cross-country skiers – insider tips of course included! At Dobbiaco will be the Cross Country Worldcup venue in 2017!